USTV Now, the service that advertises itself as a way for US Expats to see Major US networks and cable channels no longer has a place on the Roku lineup. It was never an official channel but was available as a private channel. Probably the most popular feature of the channel was not that it could provide a cable TV option because there are plenty of cable TV streaming options. It was the ability to watch network content from the major broadcast networks. USTV Now has been a Roku private channel for as long as I can recall. I discovered USTV Now when I started using Roku with the Roku XS. At the time getting over the air signals was more difficult due to a lack of dependable amplified antennas. It was not hard to see the obvious problems with the service. It has always expressly advertised as an option for those living overseas. Yet, it has always been 100 percent available in the US. In fact, it still is through its website and Kodi application. 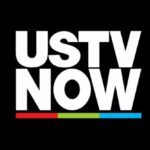 Will USTV Now be shut down as a service? USTV Now had a Roku Channel but it does not exist purely as a Roku channel. But I would not invest too much in USTV Now at this point. The tide is really turning in the copyright world. No matter how one might plan to access the service it is probably a mistake to invest in a year-long commitment. USTV Now has never really appeared above the board as it does not pass the Google test. The Google test is something we came up with. Google a service and say ESPN deal. For instance, do a search for Sling TV ESPN Deal. You will find info about Sling TV setting up an agreement for ESPN. But if you do the same for USTV Now it will not return a result. Admittedly though The Streaming Advisor has brought up USTV Now in the past as a way to watch live network TV though never endorsed the idea of signing up for its cable delivery service in the US. Well I might as well get rid of my Roku For doing that to me! Before people get fired up about Roku dropping their favorite channel understand that Roku is obligated to follow the laws of the US and is subject to lawsuits if it refuses to deal with copyright issues when brought up. It has nothing to do with its stock price. Roku is not obligated to support a channel because someone likes it. This was the case with XTV I Stream It All and other private channels. Is Roku becoming a less hospitable environment for free unauthorized distribution copyrighted content? Yes. The platform is tightening the ship for sure. And channels that use the platform to distribute material that does that they do not have the right to share will be dropped. Roku has deals in place with cable providers, major studios, and independent creators. As it continues to build its brand and expand its smart TV platform it can hardly afford to turn a blind eye to Piracy and loopholes that violate broadcast streaming rights.